Across the country, investors are taking advantage of the nation’s foreclosure crisis to purchase homes at bargain prices, often beating out potential homeowners who remain sidelined. In July, cash-on-hand investors bought about 55 percent of the homes sold in Las Vegas and numerous properties in other major metropolitan areas such as Miami, Phoenix, and Prince George’s County, Maryland, a suburb of Washington, D.C.
Investors can play a key role in a housing recovery. By absorbing excess inventory, they establish a floor for home prices and jumpstart appreciation. Responsible investors can also offer quality, affordable rental opportunities to families who may be locked out of homeownership due to foreclosure or lost wealth from the recession. But while they can support communities, irresponsible investors can also destroy them by allowing properties to sit empty, declining to bring rental properties up to code, and neglecting tenants’ needs in instances where the home is occupied. Additionally, investors that buy large quantities of properties in a single area can cause prices to overheat and increase market volatility. Conversely, if institutional investors following a set business plan sell numerous properties in the same time frame, prices in those neighborhoods could decline again. Given investors’ powerful impact on the housing market, it’s important that policymakers monitor investor activities to limit their possible negative impacts. As the nation faces a new, larger, wealthier, and more sophisticated generation of investors, the need for oversight has never been greater. For the first time, institutional investors are entering the housing market in an organized and significant way, purchasing tens of thousands of homes across the country as part of a new scattered-site, single-family-rental asset class. Institutional and individual investors alike are moving away from rehabilitating and flipping properties quickly. Instead, they are increasingly pursuing a buy-and-hold strategy in which they rent the property for a number of years in order for it to appreciate and then sell it. Although this sector is relatively small, analysts expect that the new class of rentals will grow into a $100 billion industry in the coming years. Indeed, The Wall Street Journal reports that Deutsche Bank may soon begin selling securities backed by rental payments from properties owned by institutional investors. Such an innovation will propel this industry’s growth even more. To ensure that investment activity in the housing market is socially and economically productive, we must examine investment trends and their possible impacts on communities and the economy. It is also important to consider the implications of a housing recovery built primarily on investor-owned properties as opposed to homeowners. Investors alone—even if they act responsibly—cannot build a robust, long-lasting housing recovery. As research firm CoreLogic said in a market report last month, “Going forward, continued U.S. housing market recovery depends on trade-up and first-time homebuyers replacing cash buyers.” Our nation urgently needs housing finance reform to get the mortgage market working again for qualified borrowers. It is not unusual for investors to buy inexpensive properties after a housing downturn. In fact, investors are often the first buyers to return to the housing market. This time around, however, we see a heavy volume of investment and a broader range of investors seizing on low home prices. In addition to the so-called mom-and-pop investor—an individual who may own a handful or even dozens of properties—institutional investors such as hedge funds; private equity firms; real-estate investment trusts, or REITs; and other corporate entities are flocking to the market. These groups are funded primarily by private investors and are also increasingly accessing cheap capital from banks to fund their purchases. Institutional investors may buy distressed properties at any point along the foreclosure pipeline. They buy real-estate-owned or bank-owned properties that have completed the foreclosure process, and they also purchase homes at foreclosure auctions and trustee sales. They buy properties through short-sales—which take place when a lender allows a homeowner to sell his or her home for less than the amount of the mortgage owed—and by purchasing portfolios of distressed notes from servicers. Now, investors appear to be broadening their footprint by also buying nondistressed homes, according to new research from CoreLogic. Institutional investors such as the Blackstone Group L.P. are also working with financial institutions to create new securities based on rental payments from investor-owned homes. If the market for these securities grows, institutional investors will be able to access more capital and buy more properties to convert to rental homes, which would fuel demand for investor-owned homes and may make it more lucrative for a mortgage holder to sell or foreclose on homeowners rather than keep them in their homes. These transactions would occur outside the reach of a regulatory structure that oversees mortgages, not cash purchases. While relatively small compared to the $18.5 trillion housing market, institutional investors have spent more than $17 billion in recent years. Even as rising home prices are apparently cooling interest among some leading institutional investors, policymakers should continue to pay attention. Their purchases, which have been targeted in specific metropolitan areas, could make a significant impact on local markets and neighborhoods. Depending on the type of investor and the market conditions within the city and region of the purchase, investor purchases of distressed homes look wildly different. Leadership: The CEO is David Miller, former U.S. Treasury Department official and Goldman Sachs executive. Mission: The company acquires distressed single-family properties, manages their renovation and maintenance, and leases the homes for rental income and long-term capital appreciation. It became a publicly owned company in December 2012, when it raised $245 million at its initial public offering, which it used to buy more homes. Method: Silver Bay Realty Trust Corp., or SBRT, acquires properties through foreclosure auctions, online auctions, and brokers. Status: SBRT has acquired more than 75 percent of its portfolio since March 2012. By December 2012, it held 2,540 single-family properties. As of May 2013, it held 5,370 homes. For the most part, institutional investors have been drawn to the cities that were hit the hardest by the foreclosure crisis but are best positioned to recover, such as Miami, Phoenix, Las Vegas, and Atlanta. Blackstone has already invested $4.5 billion in purchases already—the firm’s rental arm, Invitation Homes, scooped up 1,380 homes in Atlanta in one day this April, according to a CNBC report. However, despite news headlines, every investor is not armed with millions of dollars in capital. Individual investors buying fewer than 10 properties are still driving the majority of investor purchases in many areas. In investor-saturated Miami-Dade County, Florida, for instance, small and individual investors purchasing fewer than 10 properties made about two-thirds of real-estate-owned, or REO, investor purchases, according to the New York University Furman Center for Real Estate and Urban Policy. Also, researchers say that smaller investors, rather than institutional investors, are playing a more prominent role in local markets such as Fulton County, Georgia; Cuyahoga County, Ohio; and San Diego and Oakland, California. In recent years, investors of all kinds have shown interest in harder-hit counties or neighborhoods within strong metropolitan areas. For instance, investors purchased 42 percent of all foreclosed properties in Oakland between 2007 and 2011, according to a study by the Urban Strategies Council. Approximately one-third of home purchases in Prince George’s County, Maryland, last year were made in cash, presumably by investors, according to The Washington Post. Investing in these areas offers investors an opportunity to buy at low prices, attract renters who want to live in these metropolitan areas, and sell when prices rise. However, investment is not limited to the Sun Belt and thriving metropolitan areas. Individual investors are also picking up properties in distressed, primarily low-income neighborhoods in Rust Belt cities such as Detroit and Cleveland. Just as there are many different kinds of investors, strategies for managing these investments also vary depending on local market conditions and investors’ strategies. Investors may adapt their behavior depending on the existing opportunities and limitations within a given market. If home prices are rising quickly enough for investors to earn a profit by reselling the property in the short term, investors may be more likely to sell quickly. If home prices are stunted but the rental market is strong, the investor may choose to rent until prices recover. The amount of profit they can earn on a property may also determine how much they will invest in maintenance and upkeep. Alan Mallach, a senior fellow at the Brookings Institution, has conducted extensive research on private investor behavior and has created a typology to classify the most common investor strategies within the two general buy-to-sell and buy-to-hold camps. This section draws on Mallach’s framework to characterize investment patterns across the country. According to Mallach, most prominent investors in the buy-to-sell camp “flip” a home—that is, buy and quickly sell it for a higher price without ever renting it. In the mid-2000s, as the housing bubble grew, flipping was a common investment strategy. Although far less common today, flipping has not disappeared. The number of houses bought and sold within six months increased by 12 percent in 2011 and continued to increase slightly in 2012, with investors earning $37,375 in profit on average on each transaction. In Oakland, Community Fund LLC, a company purchasing bank-owned homes, earned an average gross gain of $70,721 on the 120 properties it flipped in 2011. In California, flipping has returned to the levels not seen since the housing-market bubble of the early 2000s. If an investor rehabilitates a property well and does not unduly inflate prices, flipping can be an important part of revitalizing distressed housing stock. On the other hand, flippers that drive up prices by reselling dilapidated properties without making any substantive changes or repairs can contribute to the further deterioration of the housing stock. In today’s housing market, many investors are taking a buy-to-hold approach. With this strategy, an investor buys single-family homes at low prices and converts them to rentals with the plan of renting them until the market improves or for a specified period of time, such as three or five years. Morgan Stanley expects this market to grow from $17 billion to $100 billion in the coming years. Market conditions often affect how well investors maintain these rental units. Investors that do not believe they can earn enough through the rental payments or resale to cover maintenance and rehabilitation costs, for instance, may be less likely to take good care of their properties. And in some markets, there are easy, low-cost alternative paths to profit. In Detroit, for instance, an investor can turn a profit in just a few years by buying low, renting the property with little maintenance, and dodging taxes—as is common. Most of the institutional investors that actively purchase single-family homes today plan to rent them for several years. With more access to capital, these investors may be better equipped to handle property management than mom-and-pop investors. Yet the extent to which investors renovate or maintain a property may hinge on whether they believe they can recoup the cost through the rental payments and eventual resale. Even investors that initially buy a property to hold may abandon a property if they realize that it will not be profitable. While data are not available on the frequency of property abandonment by investors, research suggests that the practice may be fairly common. When an investor buys properties in bulk, the investor may discard the less economical properties. In these cases, the property once again becomes vacant, further delaying the neighborhood’s recovery. The influx of investors into the housing market over the past two years has helped buoy the housing market, aid underwater homeowners, and allow some neighborhoods to begin moving forward. Policymakers must pay close attention, however, to the ways in which this investment may impact the housing market and the neighborhoods most affected by new property owners. Are sharp increases in home prices sustainable? While home prices increased 12 percent nationally over the past year, home prices have increased by more than 20 percent in San Francisco, Phoenix, Las Vegas, and Atlanta and hovered around 15 percent in other key metropolitan areas—raising fears about unsustainable price increases in some parts of the country. In Phoenix and Las Vegas, which are among the metropolitan areas with the highest price increases last year, investors helped fuel the growth. In Phoenix, about 45 percent of the homes purchased in July 2013 were bought with cash, which is a proxy for measuring investor activity. In Las Vegas, the figure was close to a stunning 55 percent. In some places, however, the earliest investors, such as Carrington Holding Company and Och-Ziff Capital Management Group LLC, are already leaving the market and looking to sell their portfolios after disappointing initial returns. Colony Capital LLC, another leading investor, has filled just more than half of the 9,931 homes it purchased. If investor activity is contributing to possible home-price inflation, these local markets are susceptible to sudden price declines when investors exit. A sudden departure by investors would not only hurt housing prices but also deal a second blow to already-fragile neighborhoods. Will investors be good landlords? While investor-owned properties may lead to a greater availability of rental units, particularly in neighborhoods with sparse rental options, families and neighborhoods will not reap the benefits of these new options unless the homes are maintained. As described earlier, individual investors have a mixed record as landlords that varies with local market characteristics. Managing scattered-site rental is likely to be more costly and more challenging than managing a typical multifamily apartment building. Scattered-site rental units are more geographically dispersed and may require greater staffing to secure the properties, maintain them, and market them when they become vacant. There may also be multiple layers of property-management subcontractors between the investors that own the property and the tenant who lives in the property. This distance could make it harder for an investor to ensure quality property management and for a tenant to hold an investor accountable for property conditions. Or the investor may leave the property management to the tenants, raising other concerns. In Tampa, Florida, for example, a management company that serves homeowner associations told The Tampa Tribune that investors “seem to be relying on their tenants to care for the homes once they move in, and tenants, unfortunately, aren’t complying enough.” Some homeowners associations in the Tampa area are now contemplating new limits on renters. This lack of quality property management may further negative assumptions about renters. Are investors crowding out too many potential homeowners? Community advocates and realtors complain that investor cash purchases often crowd out potential owner-occupant buyers who require financing. In some cases, owner-occupants have trouble accessing credit, or investors flush with cash are simply willing to bid higher. In other cases, sellers who wish to avoid the appraisal process prefer cash buyers. Pushing out potential homeowners who will live and take root in a neighborhood can hinder neighborhoods struggling to recover from the foreclosure crisis by preventing these communities from reclaiming lost wealth. According to the Pew Research Center, African American and Latino families lost 53 percent and 66 percent of their wealth, respectively, from 2005 to 2009 due to predatory lending and the subsequent recession. If neighborhood residents were to purchase homes at new, lower prices and stay in the neighborhood, the equity would contribute to that family’s assets and likely be deployed close to home. The firms and individuals buying distressed properties, however, are typically not located in the communities where they invest, so when investors eventually resell these properties, it is likely that they will take their wealth with them. What’s more, it is not clear that those who invest in houses will show an equal commitment to the surrounding neighborhoods. Owner-occupants, for example, have a vested interest in neighborhood amenities such as good schools, parks, and playgrounds. As a result, owner-occupants tend to be more civically engaged than renters. While investors may recognize that amenities will improve their property’s value, they may not be as engaged in the future of the neighborhood. The recession and housing crisis hit Prince George’s County especially hard. In 2011, 38 percent of Maryland homes in the foreclosure pipeline were located in Prince George’s County. More than half of homeowners in the county still owe more on their homes than they are worth. Prior to the housing crisis, Prince George’s County had a reputation as an affordable area for families and was known as one of the country’s most prominent middle-class, majority-African American communities. Part of its success was built on higher-than-average homeownership rates. But after predatory lenders heavily targeted the county, it has suffered mightily during the foreclosure crisis. Foreclosure rates in Prince George’s County have persistently been among the highest in the Washington, D.C., region. Yet as a region bordering Washington, D.C., the county is also close to a thriving metropolitan center and a strong rental market, making it ripe for investment. In many parts of Prince George’s County, investors can buy low, confident that they will be able to rent out the property until they sell it for a higher price down the road. Last year, investors made about one-third of home purchases in Prince George’s County. Home prices have also increased by 20 percent over the past year—a larger increase than almost anywhere else in the region. As fewer families build wealth through homeownership in the county and wealth instead transfers to investors, Prince George’s County may look very different in the coming years. 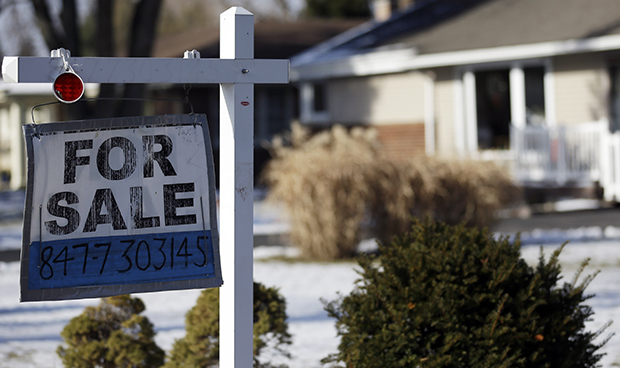 Investors can certainly play a role in the U.S. housing recovery. Indeed, in some local housing markets they have already helped halt and even reverse rapid price declines. Policymakers must monitor and manage investors to ensure that they are acting responsibly and playing a stabilizing role in communities. But investor purchases alone cannot sustain a long-term housing recovery. In order for a housing recovery to last, it must be built on homeowners who are more likely to remain even if investors exit the market in search of more aggressive returns. With that in mind, the Center for American Progress suggests the following strategies for insuring a lasting housing recovery that strengthens the national economy while creating affordable homeownership opportunities for qualified buyers. The housing recovery remains an abstraction for the more than 2 million households still at risk of foreclosure in the United States. When possible, preventing these foreclosures is the first step toward a strong housing recovery. Allowing more of these families to lower their monthly mortgage payments through refinancing or principal reduction could help millions of families avoid foreclosure and likely save money for the U.S. government and lenders. CAP commends the Obama administration for renewing the Home Affordable Refinance Program and Home Affordable Modification Program, which are critical foreclosure-prevention tools. CAP also urges the Federal Housing Finance Agency to allow homeowners with government-backed mortgages to secure more-affordable monthly payments through principal forgiveness. Households and community groups that are unable to access credit are struggling to compete with cash investors to buy homes. With a more level playing field, buyers who are more rooted in the community than the average investor would be better positioned to own properties in their neighborhoods. Encouraging more local buyers may be a less risky neighborhood stabilization strategy than relying on outside investors that are less likely to stay. Some of the tools designed to help families and community groups compete with investors for bank-owned homes—such as “first look” programs—are less useful now that fewer distressed homes are making it all the way through the foreclosure process. Instead, banks are unloading underperforming properties either by selling the underlying mortgage or selling the home via a short sale, or trustee sale. It is harder for owner-occupants to compete in these venues, which require a lot of capital. Similarly, many institutional investors are buying large portfolios of distressed mortgages directly from financial institutions or through federal sales of nonperforming assets. Owner-occupants do not have access to these sales and it is very challenging for community groups to compete in these arenas. In the Federal Housing Finance Agency’s first REO bulk sale last year, community groups failed to win in a single pool. In future bulk sales of nonperforming assets, governmental agencies should give substantial preference to mission-driven organizations that will work to keep existing homeowners in their homes or resell the property to an owner-occupant at an affordable price. Federal banking regulators should also provide closer scrutiny to the bulk sales of distressed mortgages carried out by private financial institutions to make sure the entities purchasing these assets are well qualified to service the portfolio. Additionally, the Federal Housing Administration, or FHA, could help nonprofit affordable-housing and community-development groups meet financing challenges by expanding their access to rehabilitation mortgage insurance. The FHA’s rehabilitation mortgage insurance, known as its 203(k) program, allows homebuyers to include renovation and repair costs in their mortgage. In recent years, however, this critical financing has been largely unavailable to nonprofits because of administrative hurdles, including unclear underwriting criteria. The FHA should work together with lenders and the affordable-housing community to use the existing 203(k) program and make program improvements so that responsible, well-capitalized nonprofits can use this financing to help rebuild neighborhoods. Ensuring that investors take care of their properties is key to leveraging investment for the benefit of the community rather than to its detriment. In 2010, researchers at PolicyLink and the Local Initiatives Support Corporation, or LISC, took an inventory of approaches at the state and local levels to hold investor-owners accountable and shared proactive strategies for strengthening local code enforcement and improving investor behavior. These approaches include rental registration and licensing programs that help cities better track investor owners and their properties because, through regular inspections of licensed properties, local governments can quickly detect problem landlords. These strategies for tracking and managing investor-owned properties deserve attention. As communities continue to experience high rates of investor ownership—and especially as relatively untested institutional investors enter communities—local governments must closely monitor investor behavior. The federal government should also publish assessments of investors that have purchased properties through distressed-asset sales. In 2012, the Federal Housing Finance Agency, or FHFA, sold bulk pools of REO properties that comprised about 1,750 homes to investors in Chicago, Las Vegas, Los Angeles, Phoenix, and parts of Florida. So far, the agency has not released any reporting on the performance of the investors and these pools. Similarly, the FHA has held multiple auctions to sell distressed FHA mortgages—selling more than 45,000 loans since September 2012—but has not posted follow-up performance data. It is crucial for the FHA and the FHFA to carefully monitor these pools for compliance with the terms of the sale and assess the impact of institutional investors on neighborhoods. The agencies should then release that information to the public to increase transparency and hold investors accountable. Some of the investors that purchased properties through the FHFA auctions, such as institutional investor Colony Capital LLC, have a large national presence that extends beyond the FHFA pilot program. Moving forward, the FHFA should share more of the lessons learned from the pilot program to help state and federal policymakers better anticipate challenges that may arise in the broader REO market. Ultimately, a robust and lasting housing-market recovery will require a resurgence of owner-occupant homebuyers. Yet the ability to secure a mortgage for a home has become elusive to many Americans. Right now, the typical borrower approved for a conventional mortgage has a FICO score of 755 and makes a 20 percent down payment on a home. Given that nearly two-thirds of Americans have credit scores below 750 and that it takes the average family 20 years to save for a 10 percent down payment, the ability to buy a home is increasingly limited to the wealthiest of America’s families. The secondary mortgage market in which investors buy mortgages, package them into securities, and sell them to other investors plays a significant role in whether credit is accessible and affordable to families. Lenders are less likely to make a mortgage loan if they are not confident that they can sell it on the secondary market. Right now, the secondary market is supported in large part by Freddie Mac and Fannie Mae, which were taken over by the government and remain in conservatorship. The confusing objectives of the conservatorship and investor uncertainty have kept credit very tight, especially for first-time homebuyers. In the first quarter of 2013, 76 percent of all mortgages purchased by Fannie Mae and Freddie Mac were made to homeowners who refinanced their existing mortgages, as opposed to financing renters to purchase their homes. The nation urgently needs housing finance reform to make sure that we have a well-functioning secondary market that can serve all communities. Investors can and should be part of our nation’s housing recovery, but there are serious risks associated with leaving neighborhood recovery in the hands of private investors. In order to make sure neighborhoods reap the benefits of this new investment, we must make sure investors are well monitored and managed at the local level. As bigger, relatively untested institutional investors enter the market, local officials should pay particular attention to how well they care for their properties. Federal regulators must also pay attention to the activities of institutional investors, particularly if a new market develops for securities backed by these investor-owned properties. We must also redouble efforts to build a robust housing recovery that will allow communities and families the opportunity to rebuild. The housing market will not fully recover until we fully address the foreclosure crisis and fix the mortgage market so that creditworthy families can once again buy homes. Sarah Edelman is a Policy Analyst with the Housing team at the Center for American Progress. Thanks to Jessica Kaushal for her research assistance.